It’s 11 months to the day tomorrow since we left home and today we finally said goodbye to Queensland after an amazing 10 months exploring, working and meeting some amazing new friends. 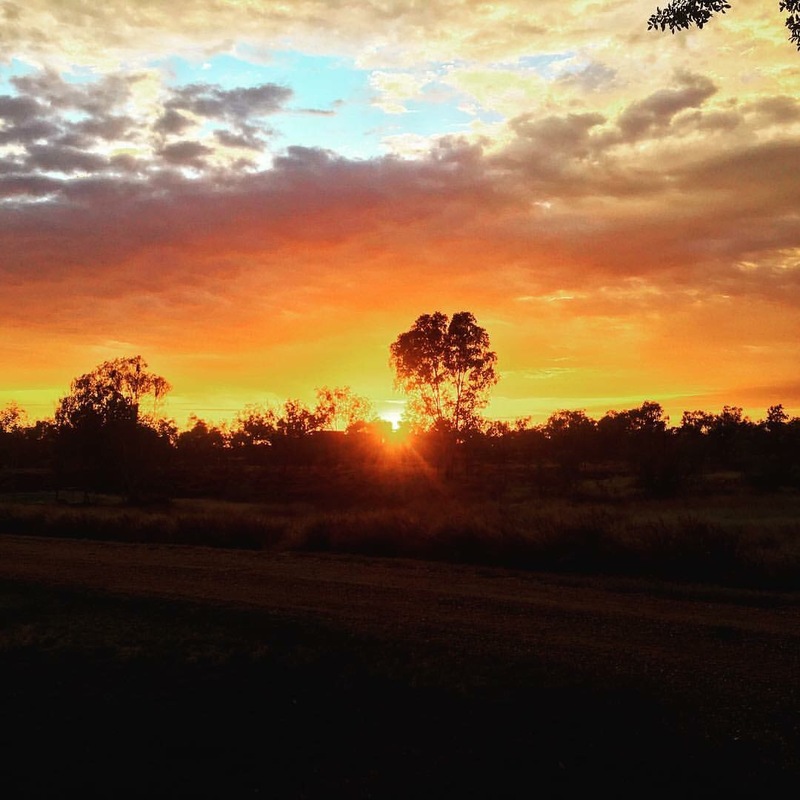 It’s a week since we left Platypus Bushcamp and so far we’ve had a great time road tripping across outback Queensland. The first two nights we stayed very close to Mackay at Cape Hillsborough at the Smalleys Beach campground which is in the Cape Hillsborough National Park but away from the main Cape Hillsborough beach and resort. 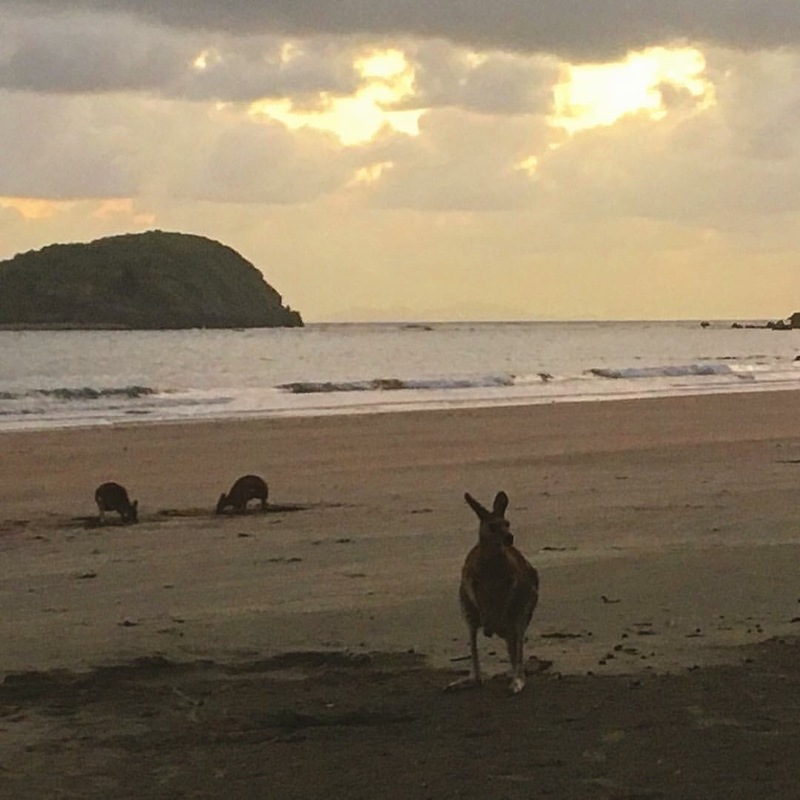 The first morning I got up on my own and went for a walk in the rain at sunrise on Smalleys Beach. It was beautiful and there wasn’t another soul around so it was a great opportunity for some reflection time on where we’ve been and the massive trip we have ahead of us. That day we just spent pottering around the campsite and getting supplies for the next week. Then an early night so we could start early the next day. Tuesday morning we were all up at 4am so we could head to the main beach for the iconic Australian experience of seeing kangaroos in the beach at sunrise. It was beautiful, however I do wonder whether the resort entices the Roos there each day by feeding them. It looked a little too set up that the kangaroos were all standing in a perfect line in the right place as the sun rose behind them and the tourists could get their photos. There also seemed to be someone from the resort ensuring their guests got photos with the kangaroos and telling everyone else not to get too close. Perhaps we are cynical? Perhaps not? Anyway it was a lovely experience that the girls really enjoyed. Then they hopped us the beach to the car to begin the first of our massive days in the car. 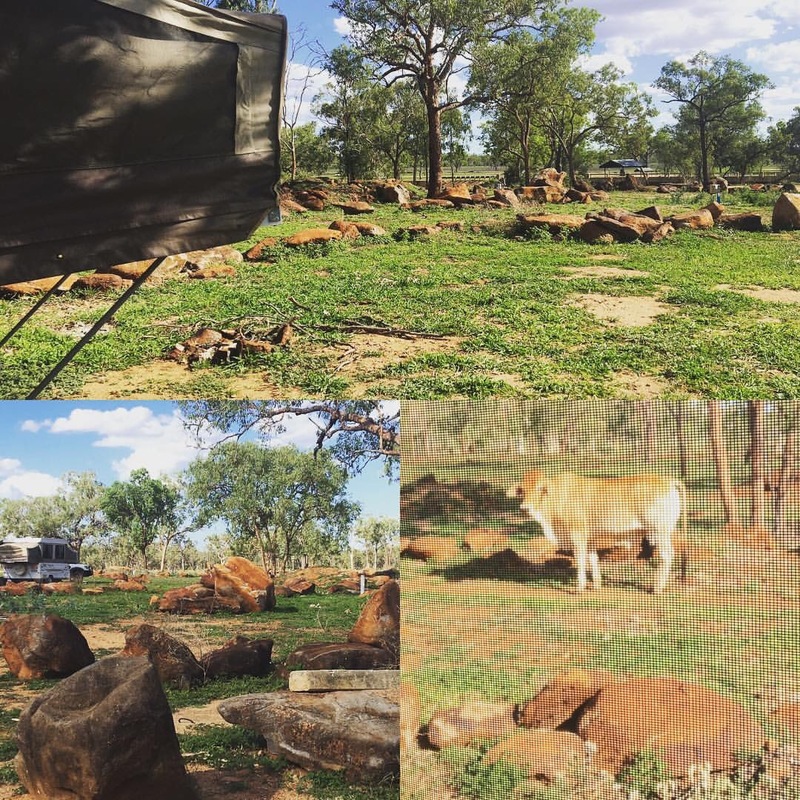 Tuesday we made it around 450km and camped at a campsite called Fletcher Creek which was about 30km out of Charters Towers. As a free campsite it was pretty good. We camped with the cows and rested up for the next big car day. Wednesday we drove around the same distance with our destination being Julia Creek. On the way we stopped at Hughenden which is one of the three towns in the Australian Dinosaur Trail. 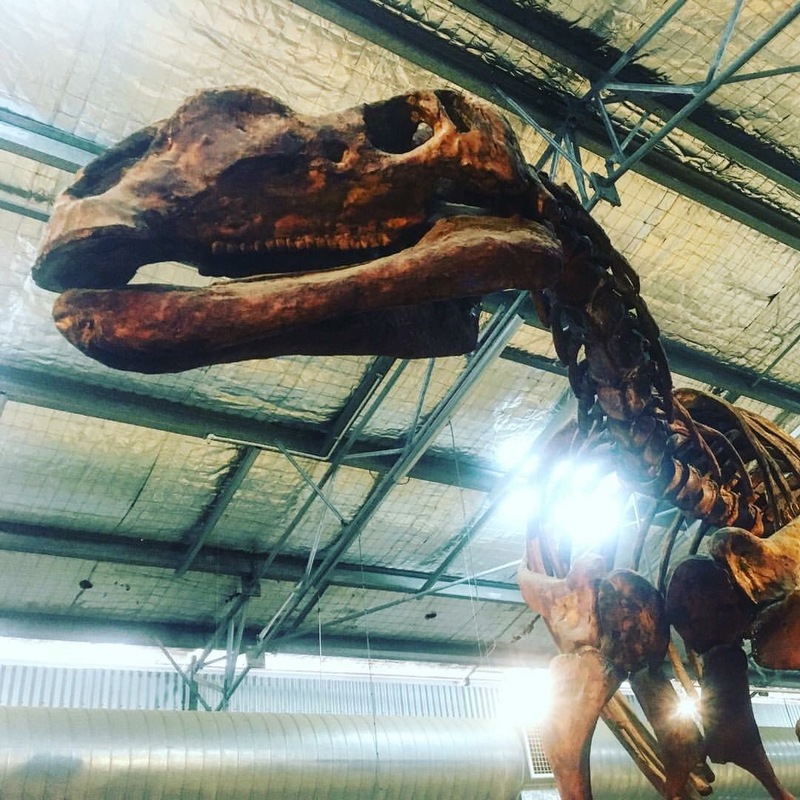 Outback Queensland is where many dinosaur fossils have been found and the area between Hughenden, Richmond and Winton is where most of them have been located. At the Discovery Centre at Hughenden we got to meet Hughie which is a fully rebuilt (is that the right terminology?) dinosaur which has been put together with fossil bones found in the area. Once at Julia Creek We stayed at the free camp in town there which again is a basic set up on the side of the creek. No facilities but it was close to the swimming pool which we took advantage of to have a cool down swim and then use of the showers. Thursday morning I got up early and went back to the pool to swim laps before we headed off again. Big thumbs up to the friendly faces at the Julia Creek information centre where we got our camp permit and the staff at the pool, especially helping to find my lost earring. 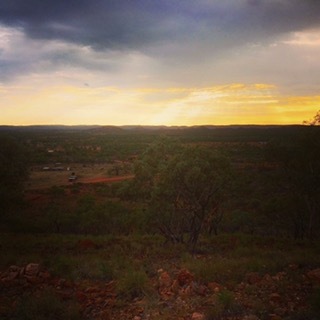 Thursday we didn’t have a huge drive as we were heading only as far as Mt Isa. On the way we passed through Cloncurry which apart from being the original base of the Roayal Flying Doctor Service and a point where Burke and Wills passed through on their epic journey through Australia, it prides itself on being the friendliest town in Australia. 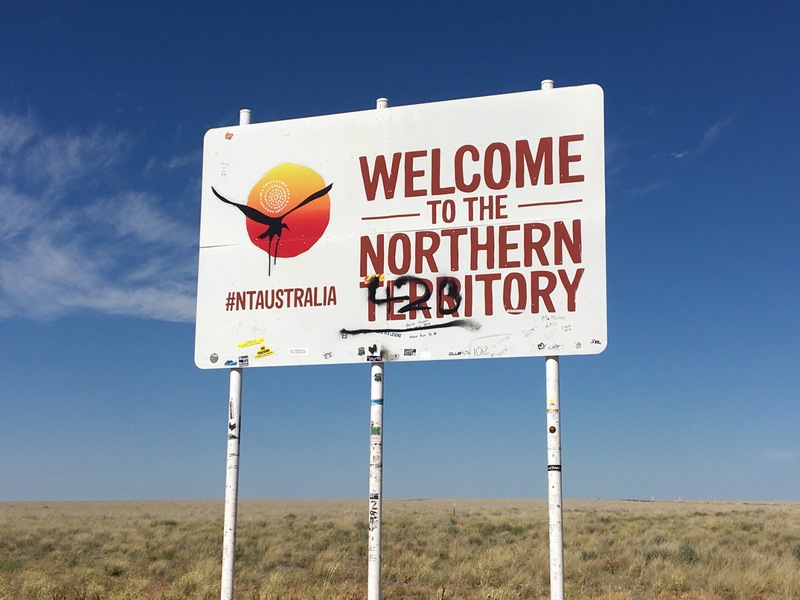 This compares to Mt Isa which proudly displays a sign as you drive into town showing a picture of a slightly overweight bare chested miner and the declaration “Mt Isa – home to Australia’s most ordinary rig” ok sure. 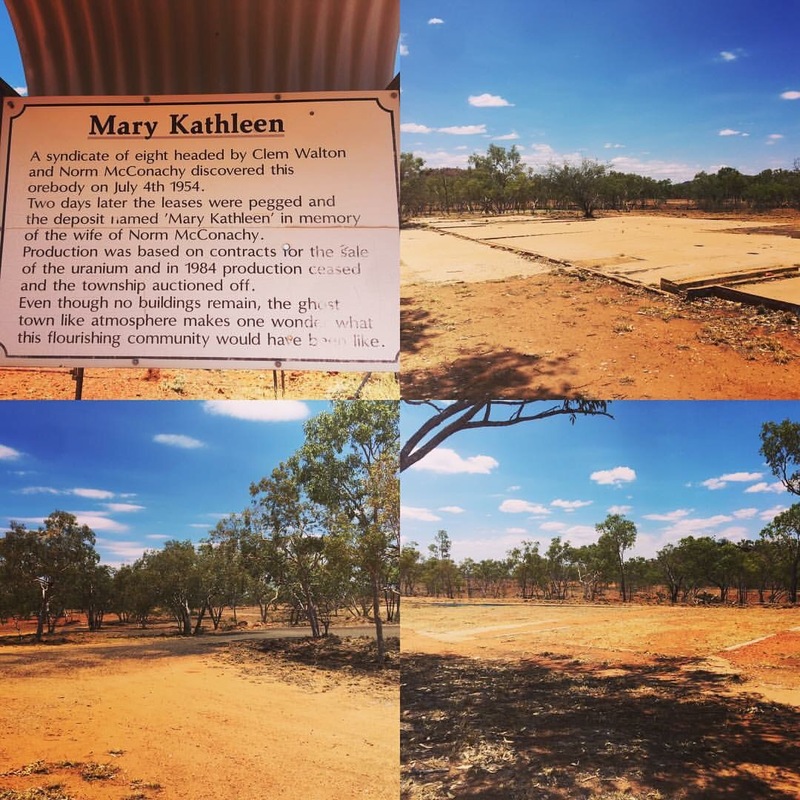 Also on the way to Mt Isa is an outback ghost town called Mary Kathleen. It was a uranium mining town opened in the 1950s and then shut in 1984. What must have been a busy mining town once is now nothing but a few roads and concrete slabs where houses and town infrastructure once stood. It’s quite amazing to find in the middle of nowhere. I’ve also just found out our good friend Lorraine who owns the Ulysses Garden Cafe in the Finch Hatton Gorge lived there when she was 11! Anyway, desperate to do menial things like wash clothes we decided to try and stay somewhere with some facilities. We were going to stay in town but then discovered the option of staying at the West Leichardt Cattle Station. 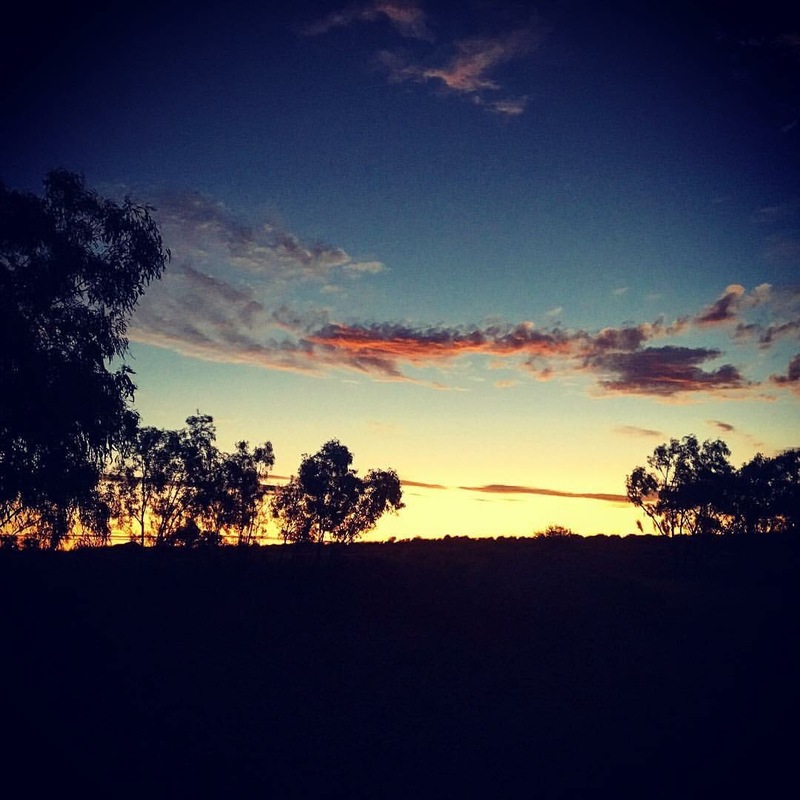 It’s a working cattle station that takes in more than 500kms about 30km out of Mt Isa. While all the work had finished in preparation for the wet season there were still some of the workers around. We camped next to a lovely family who were travelling around Australia, went to at the station for a couple of night and 2 months later are still there as the skeleton staff on the station for the wet season. They were loving the experience and have been involved in all the musters and processing of the cattle for the last few months. They had some great stories and their kids and ours became instant friends. Friday morning I had a great opportunity to go for a run on the station at sunrise which was beautiful. The red dirt, the massive ant hills and the desert landscape are incredibly beautiful, especially at sunrise. Friday night we all shared dinner around the campfire, toasted some marshmallows and then tried to get some sleep. I say try because for both nights we stayed here the still, calmness of the day turned into what seemed like hurricane winds as soon as we turned the lights out. Despite this everyone else managed to sleep through it except me, worried we were going to become a scene out of the wizard of oz and our little caravan was going to be wisked away across the fields to a faraway land. Anyway morning comes, we are still tied down and we are on the road again. Although a later start as we are only planning a shorter 200km drive to Camooweal, which is just before the Northern Territory border. 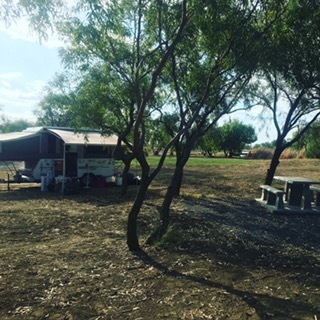 We camped at the Camooweal Billabong which is on the banks of the Georgina River. All reports on the campground talked about it being so pretty and an amazing place to lots of bird life. Sadly there was no water at all when we got here and the only birds we saw were the crows. It’s a good campground though with easy access to town. Sunday (today) is a massive driving day which we need to cover over 500km and of course we were delayed for an hour with car fuse issues. 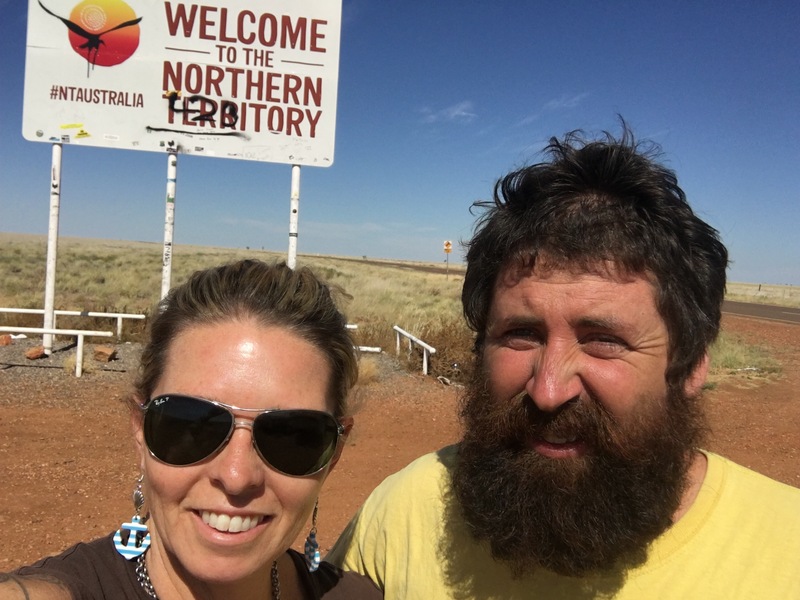 Oh well we are now in the road again and we’ve crossed the border into the Northern Territory where the speed limit is 130… Way too fast for our little caravan but we are ready for the next adventure! When we first discovered the Platypus Bush Camp at the end of July we jokingly agreed with the owner, Wazza, that we’d swap our caravan for the Camp site. While we were never serious about it, we did half seriously agree that we would come back and look after things for him while he took his first holiday in 26 years. Now, four months later we are very sad that we are about to leave paradise. Apart from a brief trip to Townsville, Magnetic Island and as far north as Tully, we have been based here and helping Wazza manage bushcamp, so he could have his well earned break away. And where do you go to take a holiday from paradise… Bali of course. So what have we actually been doing out here for the last four months? We’ve been living life in the most amazing way. Completely off the grid, no power, no mobiles, ok we’ve had internet at night after the kids are in bed. Internet that is run through solar battery, is often slower than dial up on a Commodore 64, but its done the job of keeping us in touch… until our computer battery runs out for the night and needs to be charged by the generator again the next day. Bushcamp has been incredible for us as a family. We’ve become so much closer and gotten so much more in touch with the important things in the world. We are also now experts in cleaning toilets; making hot water with fire; making up tree huts; greeting new campers; calming guests who find frogs and skinks in the toilet; moving on snakes and goannas, directing hikers to the tracks and helping people spot platypus in the creek. It’s not a life that I ever imagined that we’d be living but we are loving every second of it. Avalon has even said a couple of times that she loves it here and asked can we live here? And there is a good chance that this could indeed be the way of the future. Bushcamp is so special for a number of reasons. The obvious one being the environment but its also very special because of the way it makes people interact. We have met some very special, and I believe, good new friends. As with all travel one of the best parts is the people you meet. Some people you find you have an immediate connection with and others, not so much. I have loved talking to people about where they are from and where they are headed on their journey – both in travel and in life. Platypus Bush Camp attracts an incredibly eclectic mix of people. We have lots of backpackers from all over the world, a few more adventurous grey nomads who enjoy a different experience to a standard caravan park, people who are looking for an ecologically sustainable tourism experience, and lots of people who enjoy the outdoors and are here to do the trails and many, many people who are attracted to the artistic, holistic, organic lifestyle in the local area. 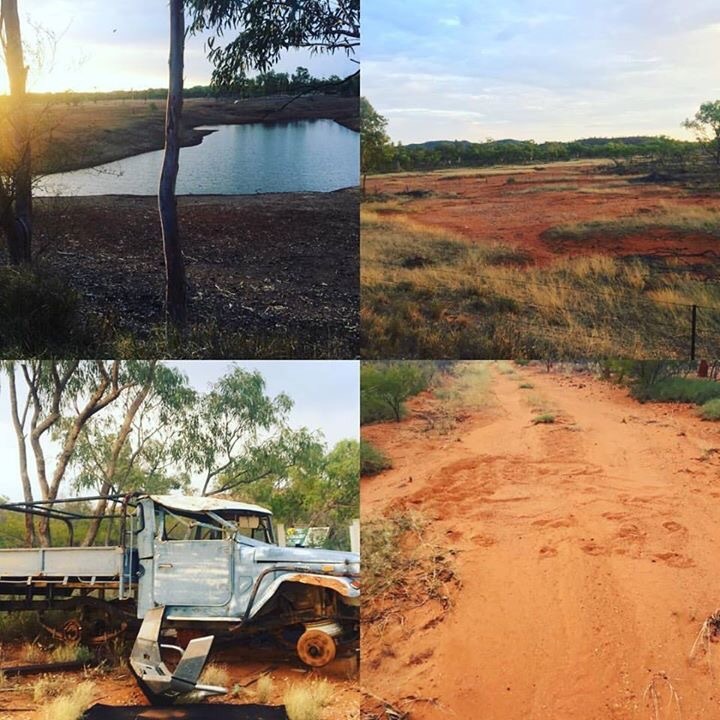 Platypus Bushcamp is very special to us and there is a plan which we are currently working on to make it even more special… watch this space.